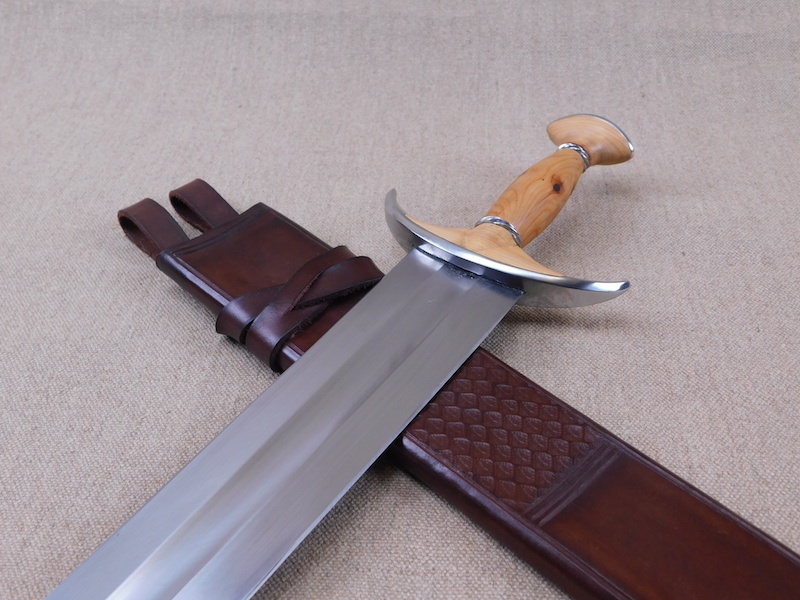 This is a Swiss Degen, a type of baselard really and is quite a monster of a dagger or a cute sword depending on point of view. 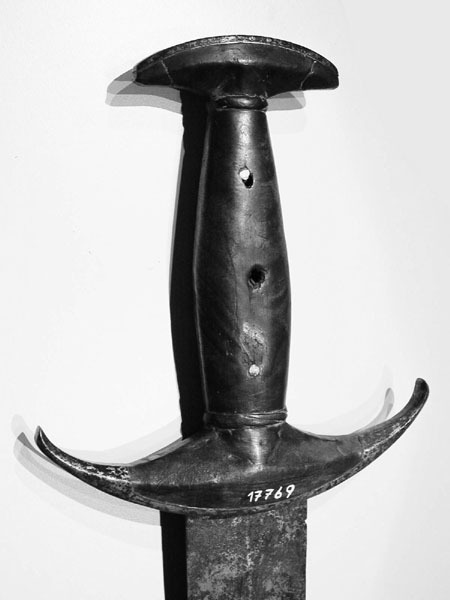 The hilt components are steel and yew, the yew sections being separated by barley twist steel fittings and the pommel cap is secured with a peen and bronze decorative rivets. 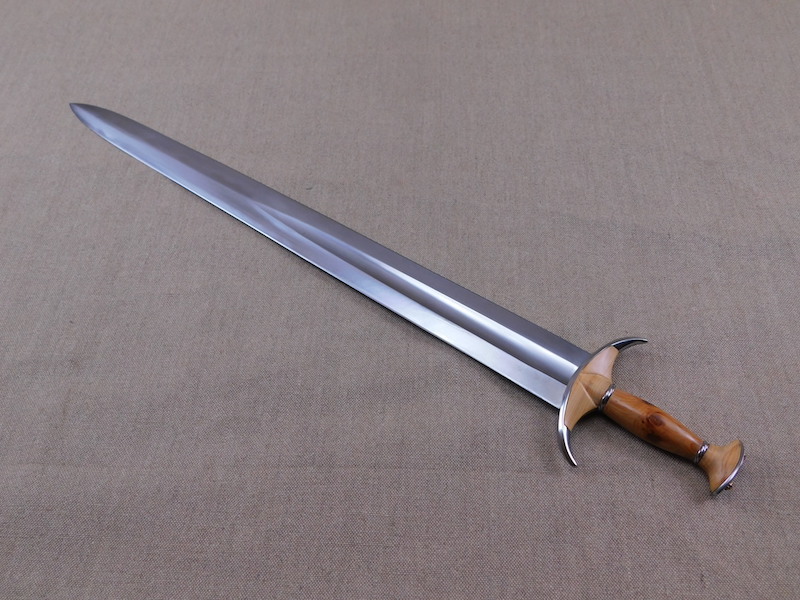 The blade is 23.5"/59cm and the overall length is 28.5"/72cm, 2.25"/54mm wide and 3/16 4.8mm thick at the hilt. It weighs 1lbs9oz/712g. 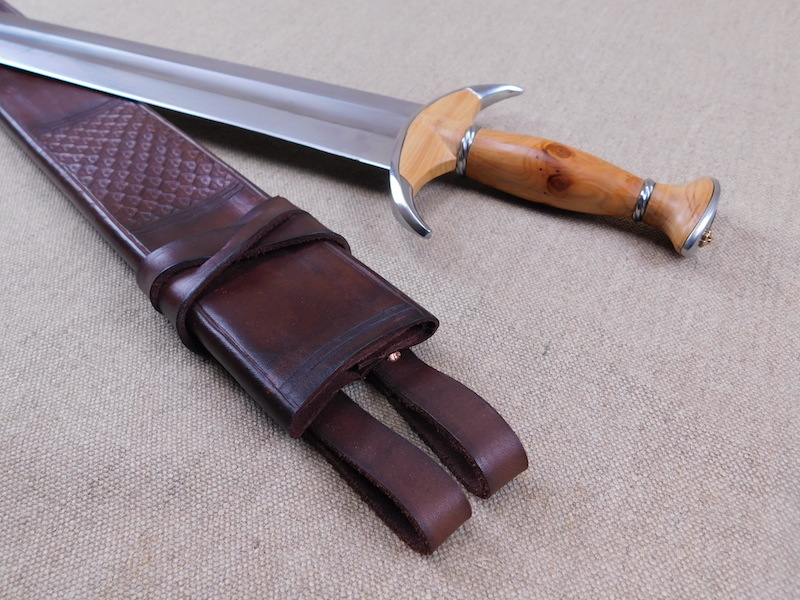 The sheath is a double layer leather with integrated suspension straps and some decorative stamping and a bronze chape. I hope you like it and of course if you have any questions or comments, please fire away. This is a great example of one of my favorite types of weapons. Really nicely done man. That is a very nice and very handy looking weapon. Are the details taken from works of art or did you use a museum piece as a model? Do you have photos of the source material? Particularly love your more recent work, the pieces look like they popped out of a Renaissance painting. That honey coloured wood is eye candy, especially in contrast to the burnished steel. 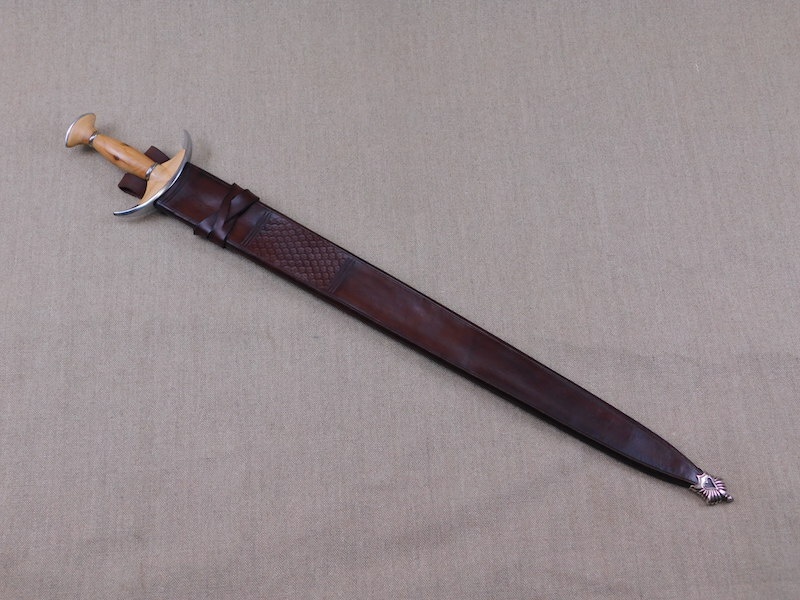 The scabbard is what I would expect to encounter in the period. 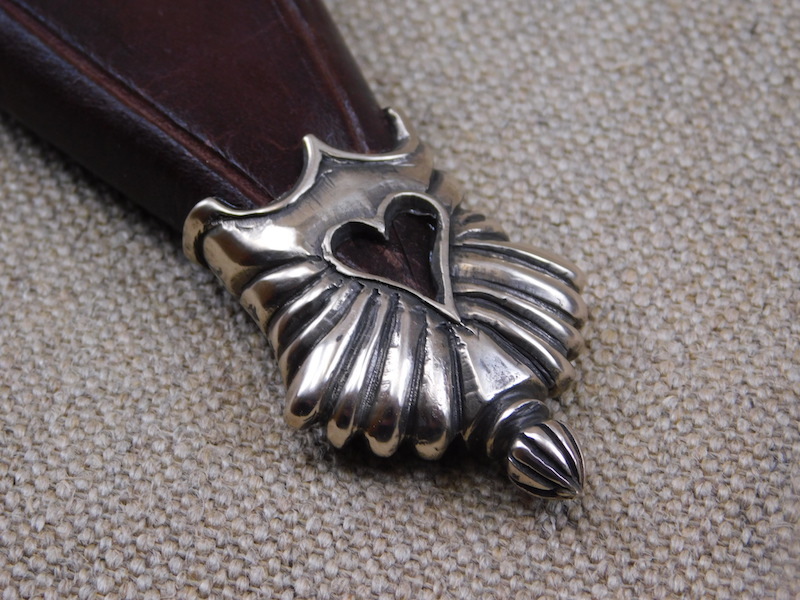 One of these days I must spring for one of your pieces, something like this, or a composite styled crossbow with a cranequin and bone inlay. Its a question of the "readies," but I'll get there. Henry - whenever you are ready! Hi Steve, Yes it was loosely based on this piece, but there are a few similar pieces in existence and the 'wrong way' guard is not unique. But I have to ask-- did the owner of the original really, really HATE his own wrists? As the owner of the thissuperb degen http://myArmoury.com/talk/viewtopic.php?t=34445&highlight= that Tod made for me as part of a Swiss kit I can say that I have never had any trouble with the guard hitting my wrist. You grip this type of degen in a slightly non-traditional way in that the cross guard is slight off-set from the wrist & arm rather than held in line with it. 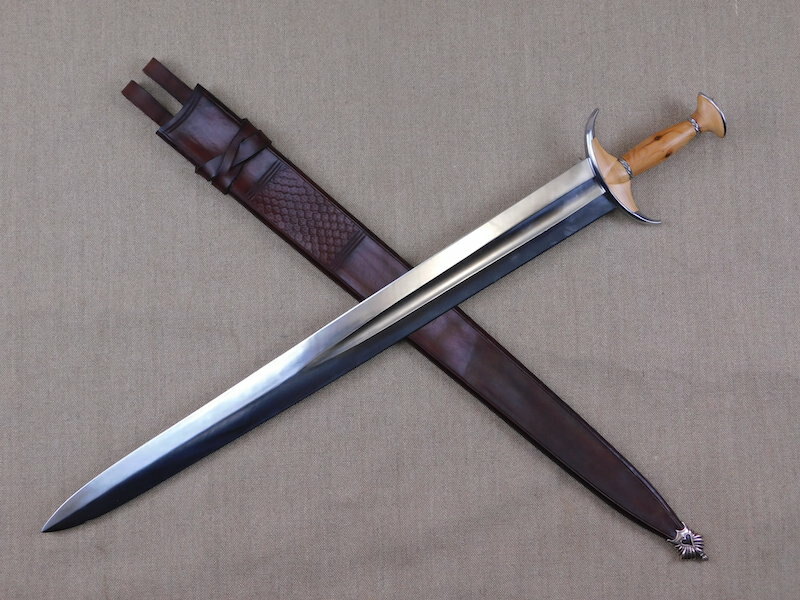 Doing so becomes very natural quickly as the entire design of the hilt IMHO invites you to hold it that way as the grip is more secure and the balance and control better. Following reading this, I handled the piece again today and when flexing the wrist the guard does not hit the forearm, but actually what it does do is extend the defence of the hand further up than a straight quillon , so it acts a little like a knuckle bow would (though with not as much coverage). So basically it looks utterly wrong, but works quite well. Thanks for chipping-in on this discussion. For the record, I highly doubt that someone would own a sword- in any century- that they couldn't trust to their own self-defense. Nevertheless, the very first reaction I had when I saw this sword was "ouch"! Thanks for your clarification on the usage of weapons such as this.